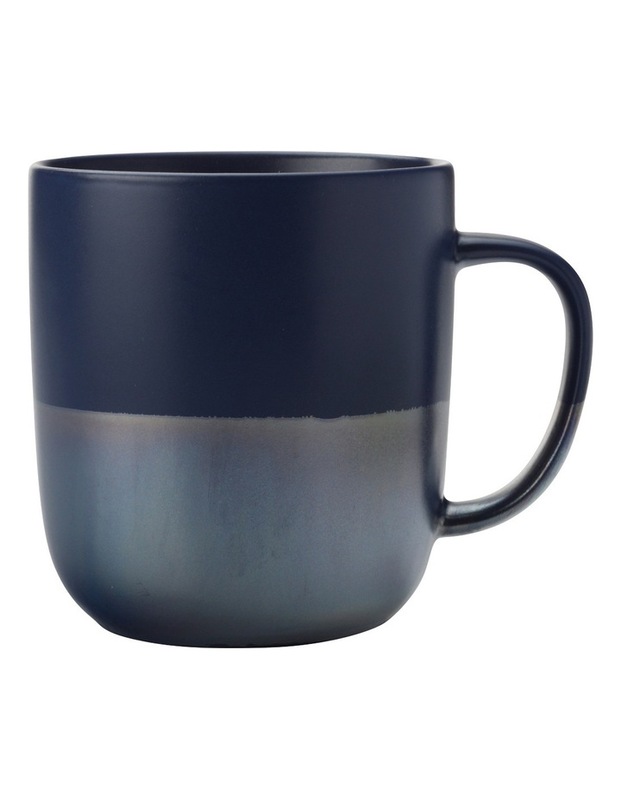 Lune Mug 400ml Navy Lustre. Rise and shine! This Maxwell & Williams Lune mug has an irresistible lustre-dipped base to add a flash of drama to your tea and coffee breaks. Dishwasher and microwave safe, the Lune collection is an easy addition to your everyday routine.